As someone who's almost always training for something (a race, following a workout plan, for a goal, etc), I often get asked the question, "What's your typical workout routine?" And that's the hardest question for me to answer, because my workouts are never the same. I've found my greatest successes from mixing it up and constantly trying new things. Whether it's a new half marathon training program (this is my go-to running training site), a free 30-day ab squat & push-up challenge (which I saw great results from, by the way! ), or just getting my daily workout fix—I'm always doing something. 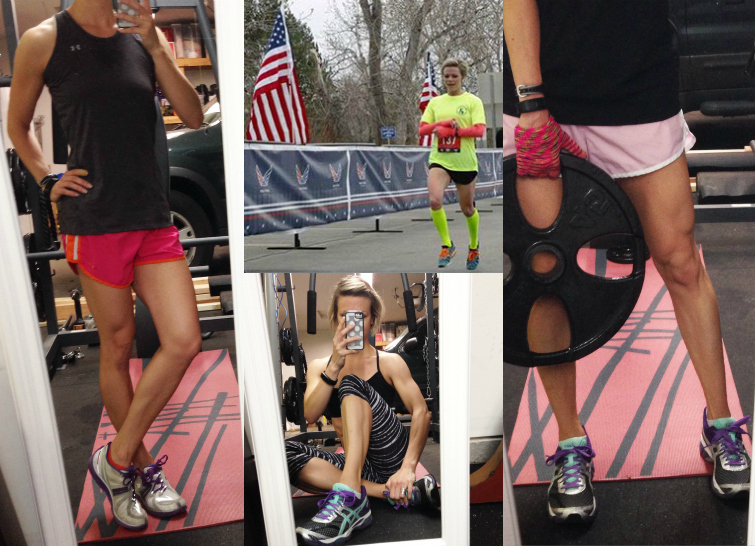 My goal typically doesn't revolve around, "Do legs on X day and run on X day"—my goal is simply to move for 30-minutes each day. That being said, I am currently following a training regime to help me stay balanced and improve my run times for all the races I have scheduled this year. 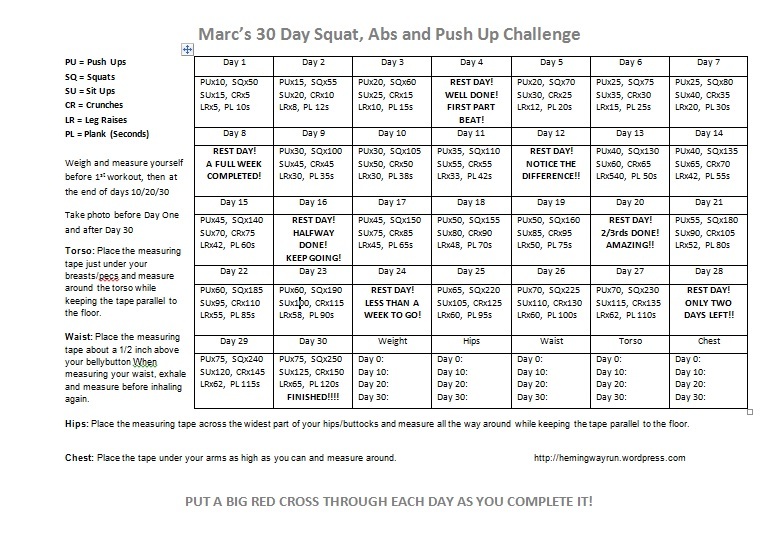 My training program includes 3 run days, 3 strength days and one cross training or stretching day per week. I've put together a combination of several different programs to make one that suits me at the moment. This program works very well for my schedule and I'm able to stick to it. Monday thru Friday, I get up early and begin my workouts at 5:00 am. Most days I'm in our garage home gym, others are spent at the actual gym and the rest are out on the open road. Saturdays are typically spent at the gym with my husband, and Sunday mornings I rise early and get my long run in before church, usually finishing before the sun comes up. Yes, I get up early—and I love it. I know that timeline doesn't work for everyone, but for me, if I don't do it early—I won't do it! In regards to the training programs, I can't advocate for them enough. I LOVE Hal Higdon's free running programs and have been using them for race-prep since 2010. I enjoy a balanced approach to fitness, so in an effort to increase strength days without hitting weights too hard (and being able to have the flexibility of an at-home workout), I began the Bikini Body Guide program. It is worth every single penny. The workouts are high-intensity and get the sweat dripping! I've seen a huge strength increase since beginning them, and have also significantly leaned down and toned up! Whether you're following a program or just training to be your best you, setting small goals is always something to strive for. While I may miss a BBG workout or run day here and there, as long as I stick to my goal of moving 30-minutes per day, I know I've done something good for my body. And right now, working toward racing faster, becoming stronger and staying lean is my main goal. And that's the beauty of goals—each day you can set a new one. I hope this breakdown of my fitness plan helps. If you're curious, I'm using a Garmin vivofit 2 to track my activity. Please let me know if you have any questions!